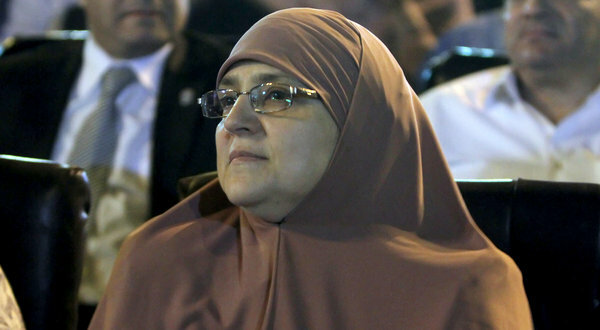 Egypt’s Veiled First Lady: Clues To Where Women Fit Into New Egypt? Everybody wants to know where women fit into the new Egypt. 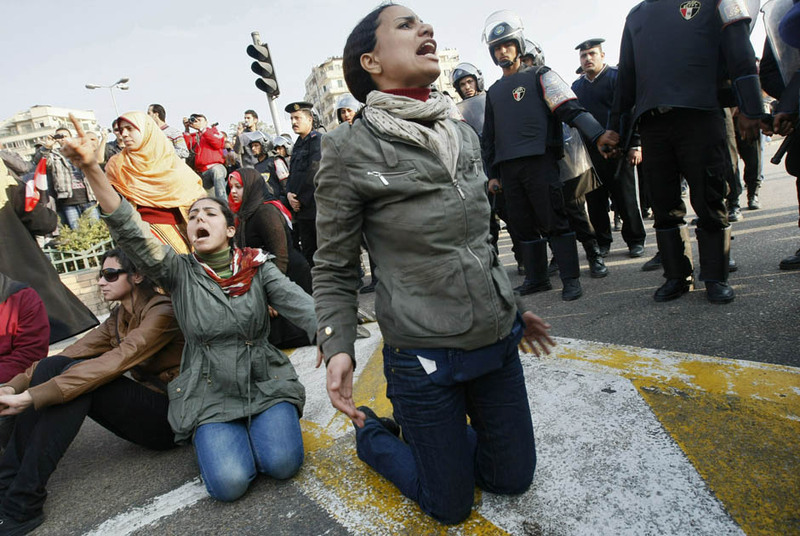 After an electrifying revolution, leading to the end of President Hosni Mubarak‘s three decade long dictatorship, the “women question” awaited the country’s first democratically elected leadership. The world watched as Egyptian women, young and old, Christian and Muslim, fought alongside their brothers, slept next to them in tents in Tahrir, and challenged the military over forced virginity tests, among other issues. Though political and social factors began pushing women almost immediately out of the public sphere, with less than 2% represented in the new Parliament, women are fighting back. But one particular woman may hold the real clues to the future for Egypt’s daughters. Naglaa Ali Mahmoud, wife of Egypt’s leader, Mohamed Morsi, wears a traditional Islamic head covering and her wardrobe choice is forcing Egyptians, and the world, to confront the the country’s pending gender reality. Morsi’s wife, who prefers to go by Um Ahmed, is making a greater statement on what the Brotherhood thinks about where women belong than they could ever articulate. …She is the antithesis of former first lady Suzanne Mubarak, who was half-Welsh, sported pantsuits and a halo of dark hair, and championed dozens of causes. 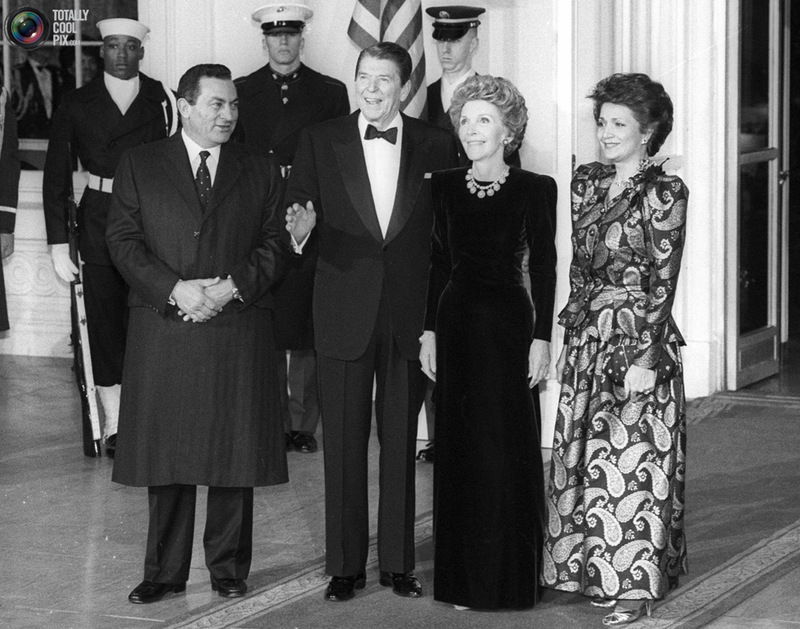 But she [Mubarak] also came to be viewed as a backroom kingmaker, and she has faced accusations of corruption. This might give the ordinary Egyptian on the street a sense of security, but many wonder if the new First Lady will give women no choice but to follow what her veil symbolizes, and make Egyptian women regress from the country’s male-dominated public sphere. After all, dictators in the Middle East are no strangers at strategically using their greatest PR tool, their wives. Usually dressed up in Western designer attire, First Ladies and Queens in this region, like Asma al-Assad of Syria & Rania of Jordan, use Louboutins shoes and Ferragamo suits to project a modern image of their country to the the world. The Muslim Brotherhood in fact has a shameful record of marginalizing women in the group, until it needs to abuse them to beautify the group’s image. All through its history, the Muslim Sisters have never been allowed access to the leadership office of the Muslim Brotherhood group. The Muslim Brothers have changed this only in the past year by establishing the Freedom and Justice political party. It hired some women in the supreme committee of the party, but they are the wives, daughters, or relatives of leading brothers. We do not know much about them and they rarely, if ever, appear in public to speak on behalf of their party. Although the Muslim Brotherhood allows women to run for parliamentary elections, they put them at the bottom of the ticket or support them with weak campaigns…This makes the group appear to be respecting women rights; in reality it is doing the opposite. And for now, change is what Egyptians are seeking the most comfort in, however remote, however emblematic. *This post of mine was also published in Forbes. Previous PostBaby Boom: Who Really Wins the Baby Weight Game?